Saturday 8th September @ the Bussey Building, Rye lane, Peckham, London. 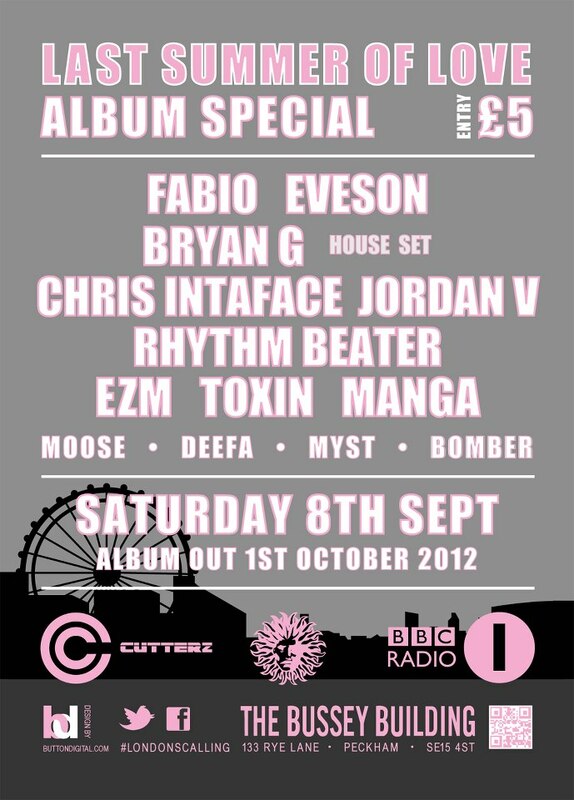 Dj's Fabio, Rhythm Beater, Eveson, Bryan G, Chris Interface, Jordan V, Manga, Toxin & EZM. MC's Moose, Deefa, Myst & Bomber.